No doubt that Casa Amora is the most intimate B&B I ever stayed at. A unique experience right in the middle of the center of Lisbon, in a quiet neighborhood and on walking distance of Principe Real, one of the trendiest areas of the city. We stayed a night in the luxury yet adorable Duplex Suite that has a modern slash classic interior design. A pair of stylish stairs leads you to the mezzanine bedroom, just like my home in Bali has. I’m a huge fan of studios with different “open” levels. It makes it feel so spacy but you would still have your bedroom separate from the living room. The Duplex Suite also has an amazing private balcony with sunbeds and.. yup.. lots of sunshine when nature allows! So so nice! 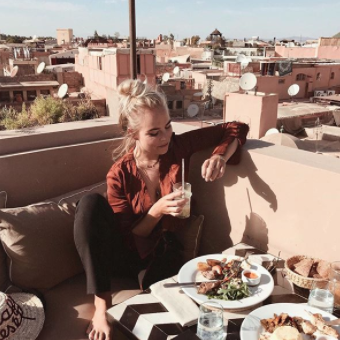 The breakfast is the best part of Casa Amora and I’m pretty sure you would agree so when experiencing it. It’s the cutest breakfast I’ve ever had. Really really intimate, which kinda feels like having breakfast with your family on a Sunday morning. It’s catered by Nita who makes special dishes like riz-au-lait (my favorite) and vegetable omelet. She would also serve you freshly baked croissants and fruit juices. 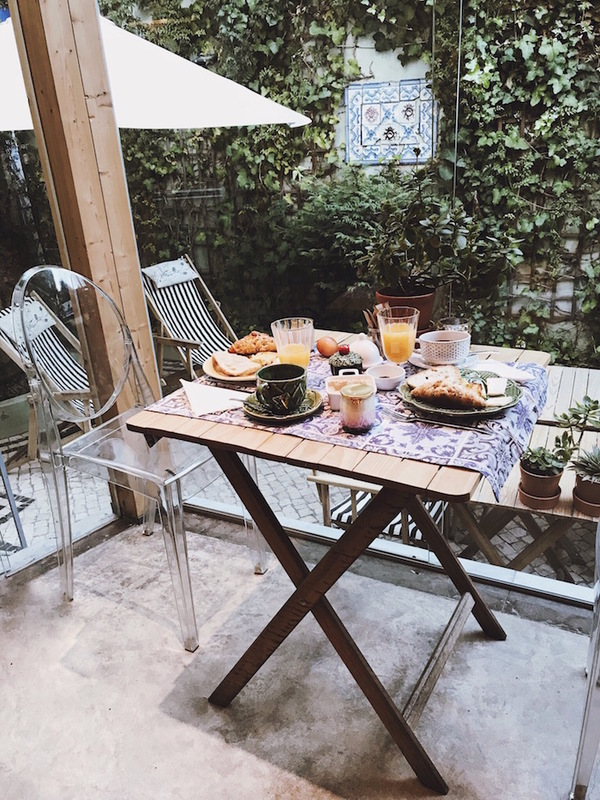 Casa Amora Lisbon is the perfect stay if you’re looking for an intimate and cozy atmosphere and if you’re open to meet travelers and locals. 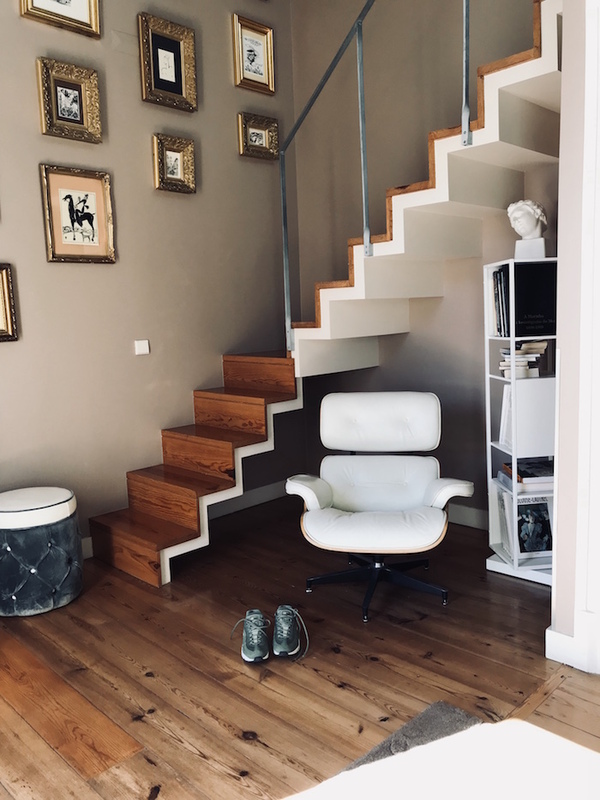 The owners of Casa Amora recently opened a new concept Craveiral which is a farmhouse between the countryside and the Portuguese coast. Craveiral brings a combination of nature and modern living in one experience. I haven’t been yet but the concept attracts me immensely. Sounds like the perfect place to get deeply relaxed whilst still getting inspired by modern world we live in. Sounds so like TAO, doesn’t it!